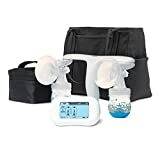 In the following article, we shall be listing down the best Breast Pumps of 2019, arranged according to the best value, the comfort of use and best features. If you are looking for the best breast pumps in town, then look no further! Read on to witness the compilation of the finest breast pumps for your precious one! 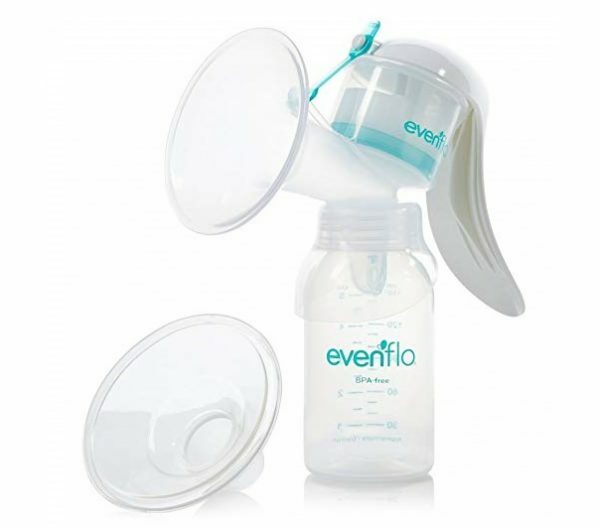 Last but not the least; we have Evenflo’s Manual Breast Pump, which is a small and convenient pumping device, capable of being portable and easy to carry around. It is made up of imported silicone and can accommodate various breast sizes. Its sleek Memory Flex clasp makes sure that pumping process is comfortable, secure and effective. It also comes with a 5-ounce container/ milk bottle, capable of storing milk for future use as well. The assemblage and cleaning process of this pump is easy due to its compact size and shape. A High-quality plastic product, the First Years Breast-flow Memory Pump Y4947 is a hospital distributed product, marking its reliability and ease of use. This pump is capable of tracking and saving up to 10 milking sessions. You can also enter the milk volume manually, to suction the right amount of milk. This product is battery-operated and pumps directly into the pumping bottles, which are part of the kit. This product also a backlit LED display so that it may easily be used at night time as well. Phthalate, BPA and lead-free, this breast pump is made from the best quality silicone to ensure that your baby gets the very best. The pump requires to be sanitized and cleaned, then placed it on your breast. Massaging the breast circular way allows milk to flow. 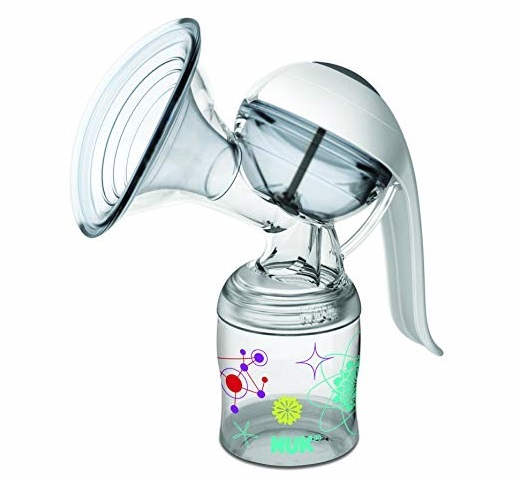 This breast pump also has the capacity to store milk for a later usage. It does not have cords and wires and is a very easy-to-use and productive item to use. 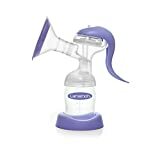 This breast pump also comes with an anti-dust lid cover and milk dispenser pump with an ergonomic handle. The best part about this product is that its Breast pump is a free-size, allowing all mothers to make use of it. Providing both the ability to control the suction and speed, the NUK Expressive Manual Breast pump is a convenient device to carry around. Containing fewer parts makes it easier to assemble and clean. The product is BPA free and contains an extra silicone valve as well as a soft breast cushion. In order to reduce hand fatigue and pain, the NUK Expressive Manual Breast pump also has an ergonomic handle which is aligned properly to provide instant comfort. Weighing 2.4 pounds, The First Years Sole Expressions Electric Breast Pump is made of rubber and natural plastic. 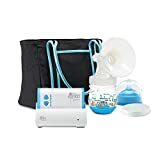 Providing up to 8 suction levels and a flexible fit breast shield, this electric breast pump is a noise-free, convenient and compact device to use. It is mainly characterized by providing comforting and frustration free milking experiences by helping you breastfeed longer. The device requires batteries to operate properly. This electric Breast Pump also provides a healthy milk diet for your baby, but the apparatus does require batteries to perform properly. 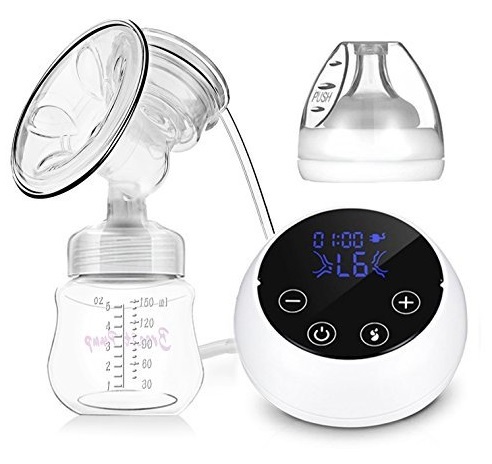 Accompanied by baby bottles and silicone rims, the Lansinoh Manual Breast Pump provides an ideal milking experience for mothers and babies alike. This product reduces fatigue and pain taken by hand, by introducing an ergonomic handle. This breast pump is quite portable and can be carried around easily in a diaper bag or a purse. 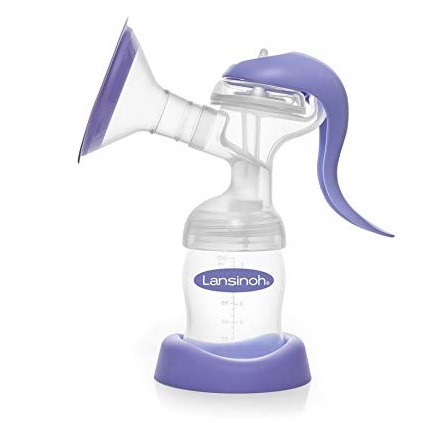 Both BPS and BPA free, the Lansinoh Manual Breast Pump is convenient and efficient to use. It prevents milk from being infected by bacteria or other germs. Like the Ashtonbee product, this breast pump contains no wires, valves or tubes, making it an ideal pick for breast-pumping. Less bulky, due to its simplicity and exceptional flexibility, makes it an excellent choice for use during traveling. 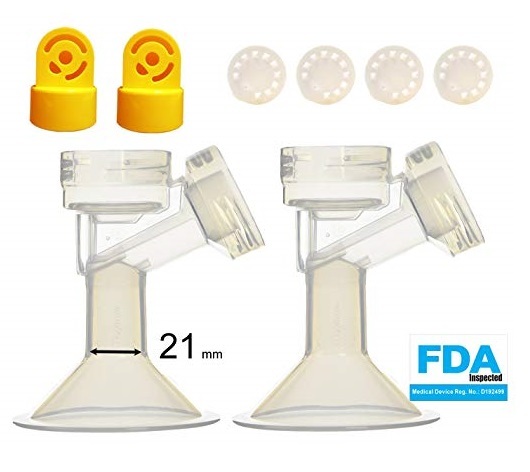 Free from PVCs and BPA, the material used for this pump is a high-quality silicon and contains a base attached to it to avoid accidental spillage. Blue Moon Innovations is a woman-owned company and FDA registered. As the name suggests, the Silicone Breast Pump by Ashtonbee is a product made from high-grade silicone and helps fight off germs and contaminations to provide you and your baby with a soothing milking experience. The upside about this product is that it is a light-weight and travel-friendly product, so you can carry it around without any hassle. The product is also less complex as compared to its counterparts, containing no wires or batteries to operate. 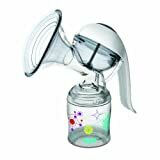 This breast pump is capable of storing breast milk by suctioning the device onto the breast so that the baby can be fed later when needed. 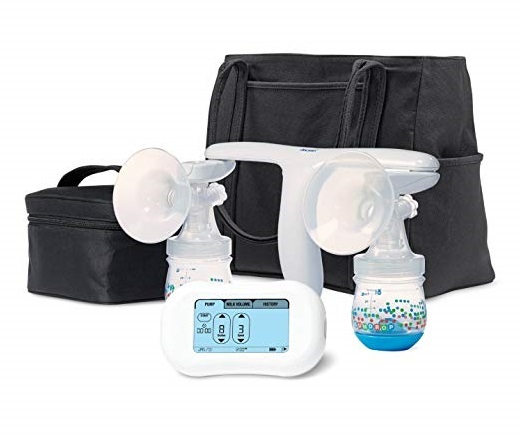 Featuring a set of valves, membranes, and breast-shields, the Medela Breast Pump is compatible with almost all pumping models, with the very few exceptions. 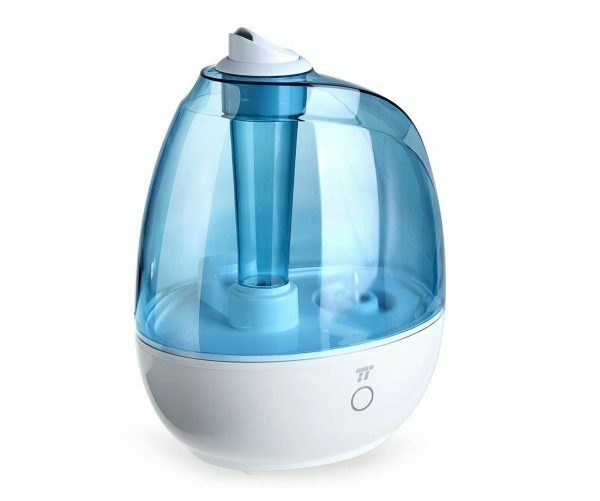 Like the Vakey Breast Pump, it is also BPA free. Containing parts which are interchangeable, the Medela Breast Pump is efficient and provides breastfeeding comfort for all mothers. This product also caters for unavailability of proper shield sizes by offering up to 13 different breast-shield sizes. Another aspect of this pump is that it does not require batteries to operate. 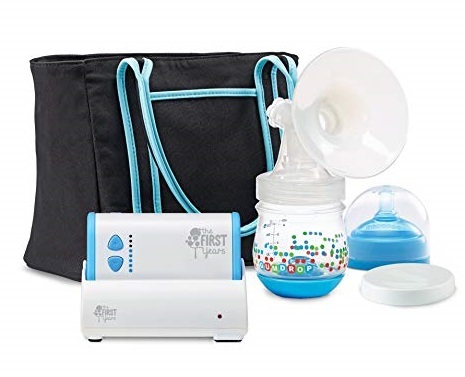 No.1 bestseller, Vakey Electric Breast Pump is a sanitized and innocuous product, which is built from 100% BPA free substances. The internal valve of the breast pump is designed in such a way that it prevents milk from being infected and keeps it healthy whilst retaining its natural taste. What actually brings innovation to this product is the option of changing the pump level i.e. suction from 1 to 9, which makes you feel like your baby is actually sucking for milk. Besides that, this breast pump also provides a massage function for relaxation and an exhausting film to prevent contamination due to germs. The kit also features an LED display and is ideal for use during travels. 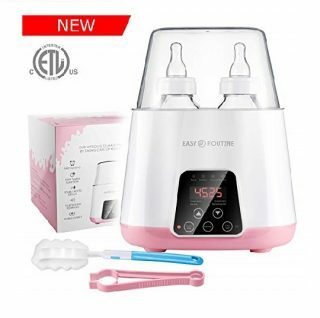 While breastfeeding is a tedious task, the main purpose of these breast pumps is to extract milk from women’s breasts in a comforting and trouble-free way, while preserving milk for later use. We hope that this list has helped you make a good choice!